Clayton Hertzler Royer, the youngest son of Joseph R. Royer and Emma Hertzler was born on 18 Jan 1881. 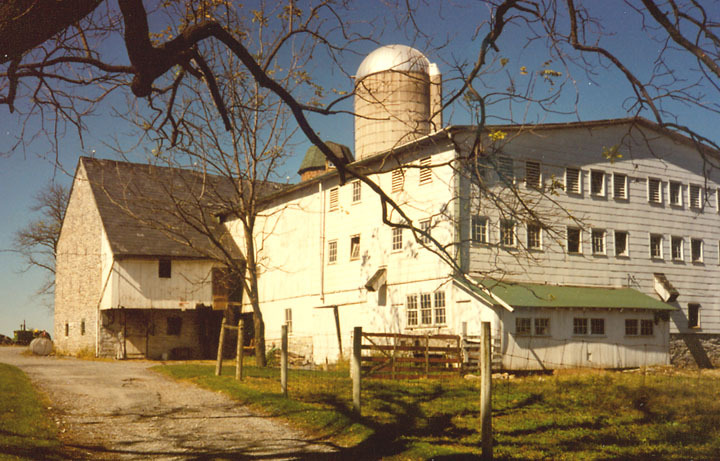 He spent his early years on his fathers farm in Warwick Township, Lancaster County, Pennsylvania. However, Clayton was just 13 years old when his mother died. The following year his father remarried and soon thereafter opened a butcher shop in the village of Lexington. At the time of the 1900 census, Clayton, age 19, was listed as a farm labor. One of Claytons temporary jobs as a young man was to haul stone for the construction of the Rockville Bridge above Harrisburg that opened on Easter morning, 30 Apr 1902. 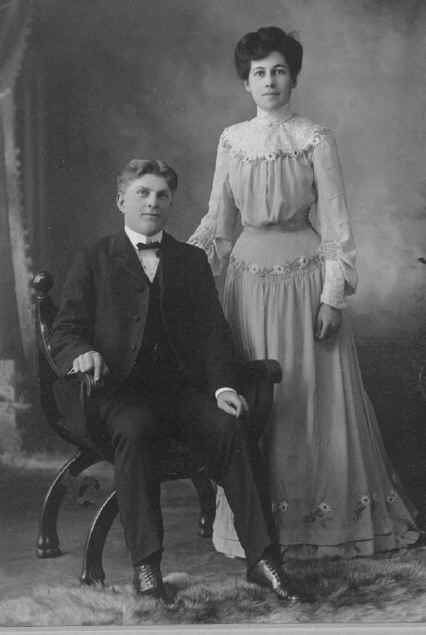 On 19 Nov 1903, Clayton H. Royer married Susan Mae Keller . Susan, who was always "Susie," was born 15 Oct 1880, the sixth child in the family of Isaac B. Keller and Elizabeth W. Rudy . 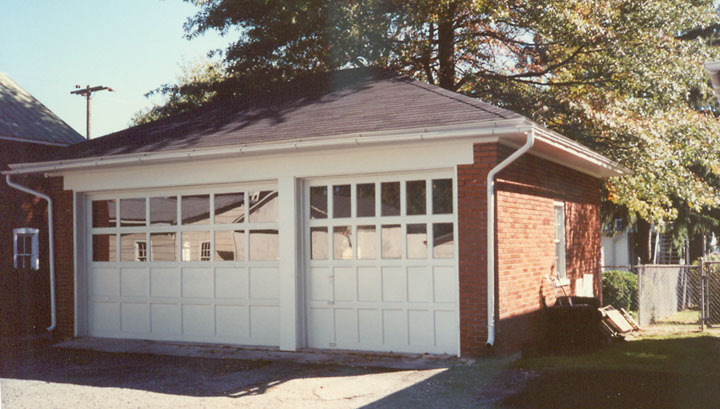 They lived in Springville, near Ephrata, Pa. Susie attended the nearby Stevens elementary school. An apt student, she went on to Ephrata High School. For her high school commencement program on May 21, 1898, Susie presented an oration, "Yes and No." A year later she addressed the Ephrata High School Alumni meeting on the topic "One Steady Aim." Susie applied for a teaching job but was told she was too young to teach the older and larger students and was advised to get more schooling. She enrolled at the State Normal School in Millersville. In the 1899 catalogue listing of female students was "Susie M. Keller, Post Office, Stevens, Lancaster County." The minute books containing records of Certificates and Diplomas granted at Millersville in 18981899 do not include any mention of Susie Keller. She was not on the rolls in 1900. She apparently took a few courses to satisfy the local school board and was hired to teach. As was the custom in her time, Susies teaching career ended when she married. By the time of their marriage, Clayton was assisting his father in the butchering business. 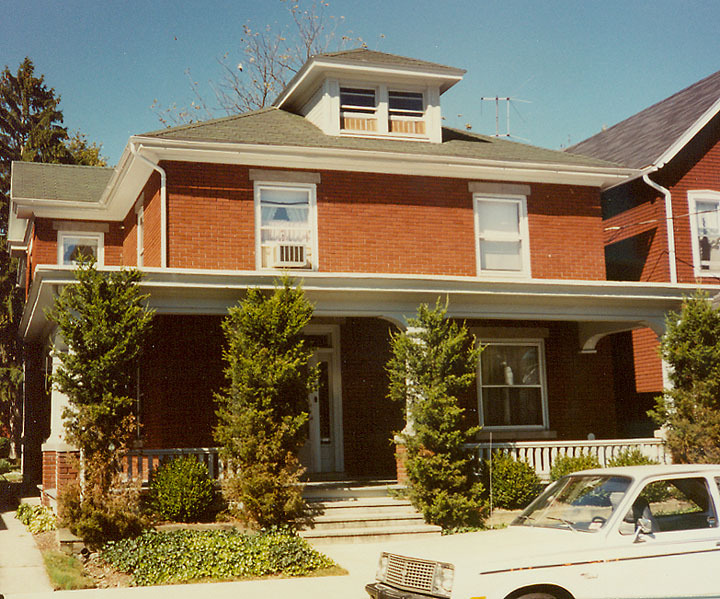 The young couple may have set up housekeeping in the home on Race Street in Lexington which Claytons father purchased on 31 Mar 1904. Or, more likely, the parents moved there and allowed the newlyweds to live in their old house on Walnut Street. Both sets of parents were assisting. Susies father, Isaac Keller, was billed $211.75 for furniture from Hoffmeiers store on King Street in Lancaster. On March 28, they had selected an 8-piece bedroom suite, an 8-foot extension table, six chairs, a parlor table, two couches, a combination desk, rockers, a sideboard, and a sink. Susie visited Bombergers Hardware in Lititz on March 28 and April 4 to buy $43.80 worth of kitchen and laundry supplies for their home: 2 Brooms, 1 Handle, 2 Butcher knives, 1 Copper kettle, 1 Dust pan, 1 Bread box, 1 Wash boiler, 1 Coffee pot, 1 Collender, 1 Basin, 1 Bucket, 1 Wash pan, 2 Measurers, 1 Slaw cutter, 1 Sprinkling can, 1 Funnel, 2 Brushes, 3 Cake pans, 1 Roast pan, 1 Scale, 1 Waffle iron, 1 Skillet, 1 Set pots, 1 Coal hod, 2 Tubs, 1 Wringer, 1 Wash board, 1 Bucket strainer, 2 Cake pans, 1 Range, 3 Pipes, and 1 Elbow. And on March 30, one and one-half dozen plates, four dishes, and eight gallon-crocks were purchased for $2.50 from A. W. Mentzer & Sons grocery in Ephrata. Although they did not purchase a home in Lexington, Clayton soon began his practice of investing in rental properties. For $505, C.H. Royer of Lexington purchased two lots on Pearl Street in Lancaster on 21 Mar 1905 and another for $289 on 27 Mar 1906. In the 1909 business directory of Lancaster County, Clayton Royer was listed as a butcher in Lexington. The 1910 census reported that Clayton, age 29, was a butcher. He and Susan Mae had been married six years, and their daughter Irene was one year and three months old. In 1912, C. H. Royer purchased two lots and homes on East Clay Street in Lancaster. On 16 Aug 1913, Susie Royer purchased a one-acre and 40 perch piece of land in Manheim Township "beginning at a stone in the middle of a public road leading from Neffsville to East Petersburg." Elam and Cora Royer, cousins of Clayton, had operated a butcher shop on this property in Neffsville. Now Clayton and Susie moved their butchering business from Lexington to Neffsvilleabout six miles less to travel to the Lancaster markets where they sold their meat products several days a week. On 1 Apr 1920, Clayton purchased a farm on which he could raise some of his own beef cattle. He purchased two contiguous tracts with a total of 323 acres in Manheim Township from Gerald and Barbara Becker for $18,916.54. They continued to live in Neffsville at the butcher shop. With their only child through college and married, one day Clayton and Susie "just decided to quit butchering." 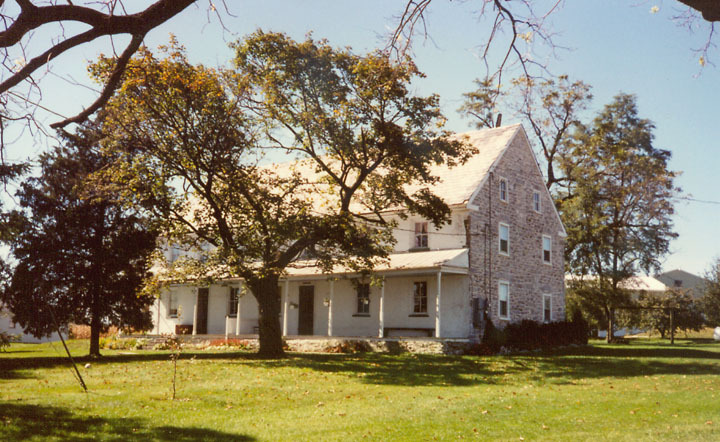 On 9 Apr 1932, they sold their house and shop in Neffsville and bought "all that certain Lot or piece of ground having erected a two story brick dwelling house, situated on the North side of East Lincoln Avenue between North Broad and Liberty Streets, in the Borough of Lititz, County of Lancaster and State of Pennsylvania. Fronting on the North side of East Lincoln Avenue, a distance of forty feet; and extending in depth of that width Northwardly, one hundred and eighty one feet six inches more or less to Middle Alley." This was their final home together. But other real estate transactions followed in these years of the great Depression, often for "the consideration of one dollar ($1.00) and other valuable consideration." The deeds give no clue to what these other considerations were. Susie Royer bought a home at 39 East Ross Street in Lancaster on 4 Nov 1932. At a sheriffs sale, C. H. and Susie Royer bought a "lot of ground situate on the West side of North Duke Street, between East Ross and East Liberty Streets . . . being No. 918 North Duke Street" for $500 on 19 Jan 1934. Even before retirement, between market days, Clayton and Susie enjoyed taking short trips in their car. Susie commented that they always kept a small bag and their toothbrushes packed. After Clayts retirement, they were able to take an extended trip across the United States in 1934. Susie enjoyed cooking and entertaining. Some special dishes included roast veal, roast beef, and candied sweet potatoes with walnuts. A family holiday dinner might feature roast duck or goose. No dinner was complete without small gherkin pickles. For dessert, there might be butterscotch pie, lemon sponge pie, or applesauce cookies. 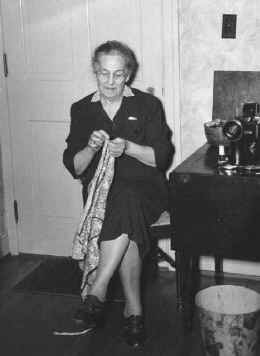 Another favorite pastime was needleworkcrocheting, embroidery, needlepoint, and tatting. She put delicate edgings on dozens of handkerchiefs, aprons, and other items. She was an active participant of the Ladies Aid Society of the Lititz Church of the Brethren. I Clayton H. Royer of Lititz, Lancaster Co. State of Pennsylvania being of sound mind & memory do make publish & declare this to be may last will and testament in manner & form following hereby revoking and making void all former wills made by me at anytime heretofore. all my just debts and funeral expenses shall be first fully Paid. SecondI give devise & bequeath all the rest & residue of my estate as follows one third to my daughter Irene K. Frysinger and two thirds to my wife Susie M. Royer. I do hereby constitute and appoint my wife Susie M. Royer sole executrix of this my Last Will and Testament & it is my wish and I do hereby request that she may not be compelled to give any bond or security as such executrix and that she may settle the estate in her own way & sell any or all of the real or personal estate at public or private sale as she may think best. In witness whereof I have hereunto set my hand and seal this seventh day of March 1939. Clayton Hertzler Royer  died of kidney disease on 10 Apr 1939. He was buried in the cemetery of the Longenecker Church of the Brethren (west of Lititz) in Warwick Township, Lancaster County. Shortly before his death, Clayton and Susie had agreed to pay to have a baptismal pool installed in their church. The bill for the baptistery and an additional stairway came to $511.42 and was paid by Sister Susie Royer. Susie Royer continued to competently attend to the financial affairs. Her daughter and son-in-law, Irene and Hiram Frysinger, helped her get in the 1939 tobacco crop and tend to the farm until it was sold on 9 Mar 1940. Titles to some of the rental properties were transferred to Irene as her share of her fathers estate. Susie lived in her large home on Lincoln Avenue in Lititz until 1945, when she was 65 years old. She then sold it and moved to a room in the General Suitor Hotel in Lititz for a time. She tried sharing an apartment in Lititz with Claytons sister-in-law. She then moved in with her daughter Irenes family in their home near Harrisburg. Living with a family of noisy children was stressful. She missed her church and she sorely missed being able to ride the bus to go to Lancaster. She needed to have her own space and independence. She moved to a new apartment in the village of Hanoverdale, located close to the Church of the Brethren that Irene and Hiram attended. Susie was once again using her own things, but she felt more isolated than ever. She knew she wanted to go "home." It was not until Susie moved to Lancaster to her home at 39 East Ross Street that she felt at peace. Once again she could "hop on the bus" and go where she wished. Susie continued this independent lifestyle until she was in her mid-eighties. Once again, it seemed feasible to move in with her daughter. The two women greatly enjoyed each others company. But when Susie was 91 years old, her life plans were shattered again. Irene , her only child, died of a heart attack. Arrangements were made for Susie to become a resident of the Brethren Home (now Brethren Village) near Neffsville. Dealing simultaneously with grief and adjustment to institutionalization, Susie occasionally had to give herself "a good talking-to." She hoped that she might move to the home on Duke Street that she still owned, but gradually she realized that would not happen. One bright note was that she was living along the same road that she and Clayton had so often traveled on their way to market. Although stooped with osteoporosis, Susie remained healthy, with her mind and sense of humor intact. She was approaching her 94th birthday when she fell and broke her hip. Stress following corrective surgery brought on a fatal heart attack. Susan Mae Keller died on 1 Jul 1974 and was buried in Longeneckers Church of the Brethren Cemetery beside her husband Clayton H. Royer. b Born in Lexington, Warwick Township, Lancaster County, Pa.
.m Marriage Certificate: They were married on 24 Dec 1930 at the home of Rev. A. C. Baugher.